Earn $2.04 in VIP credit (204 points)What's This? The Schwalbe Smart Sam Plus is a 40mm wide 700c tire that excels in all terrains and all weather conditions for gravel grinders and adventure cyclists alike. 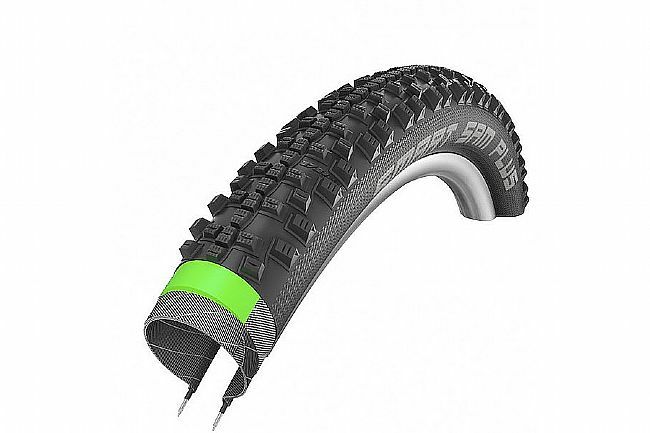 Featuring Schwalbe's Addix rubber compound, the Smart Sam Plus is incredibly versatile, providing the perfect balance between rolling resistance, grip, and protection. Taking puncture protection to the extreme, the Smart Sam Plus features the DoubleDown belt with Greenguard technology, this added layer stands up to slashes and punctures.